In this economy, many people are searching for ways to supplement their current income. While some folks may have entrepreneurial aspirations and seem to be a natural fit for trying new part-time gigs on the side. For others, the concept of quitting your full time job to pursue opening a home based opportunity may seem too risky to even consider. After all, in most cases, starting a business requires a lot of time and attention. However, there are a number of part-time opportunities that would enable you to keep your full time job and still operate a small home business of your own on the side. By starting a business that primarily requires working only on the weekends, you could obtain that supplemental income you’re searching for. Inflatable bounce houses (also known as moon bouncers or bouncy houses) are a great way to make some weekend cash with very little effort. Who’s your biggest client going to be? You guessed it: parents of small kids! 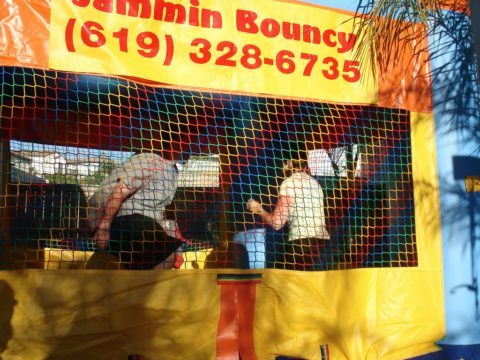 Many parents who host birthday parties for their kids want to rent a bounce house for the day of the event. These bounce houses are almost always the hit of the party — and they’re very simple to set up. As a bouncy house business owner, your obligations amount to very little “work”. You can purchase a bounce house for about $1,500, and then charge customers typically between $125 and $200 for 6 to 8 hours of use. Simply bring the deflated bounce house to the location and inflate it with a large blower fan (also known as a snail fan) . Within minutes, the bounce house is ready to go! After the party, you simply return to the event location, take down the bounce house, collect any remaining payment, and head back home. You’ll need to have insurance for your inflatable bounce house — which typically cost about $750 to $1,100 per year for your small business. 99% of weddings take place on Saturdays. You can take advantage of this by starting a wedding limousine business. Brides-to-be are always in search of a limo for their big day! Wedding limousines typically rent for $75 to $95 per hour in most states. 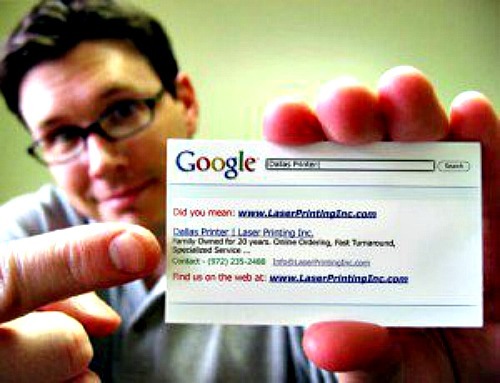 To get the word out about your business, create some business cards and drop them off at every bridal shop, tuxedo shop, and florist in town. Be sure to call your state’s Public Utilities Commission to find out which permits are required for your limo. You’ll also need limousine insurance. And it’s a good idea to open a Limited Liability Company (LLC) for this type of business. Your limo business can also extend beyond weddings — if you like. There’s also prom season, transportation to & from the airport, celebrity chauffeuring, and tailgating. And limos are frequently rented on holidays like New Year’s Eve and St. Patrick’s Day, as well. Many youth sporting events take place on the weekends, and almost all of the teams involved in these events will hire a photographer to take team photographs. We’re not talking about traditional sports photography here — just team pictures. In about 30 minutes on the field taking pictures, you can make $10 to $20 per child — depending on the photo packages their parents decide to purchase. You don’t have to be a professional photographer to capture quality team photos. These days, the technology that’s built into digital cameras can help anyone overcome a lack of professional skills. Before you start this home business, make sure that you have some basic knowledge about outdoor photography lighting. If you need to brush up your skills, you could take a photography lighting class or research outdoor photography lighting online. Then, contact all of the local youth sports teams in your area, and offer them your photography services. Don’t forget to share samples of prior team photos that you’ve taken. You can attach these photos to the email you send to youth sports coordinators. Being a youth sports photographer is an excellent job if you love working with kids and enjoy being outdoors. If you and your neighbors are anything like me, then it’s important to have your home, driveway, porch, and deck power washed occasionally — so they’ll continue to look fresh and new. This is especially true after the winter months. Power washers (or pressure washers) are easy to operate, and they can make a vast improvement in the look of a house. For your pressure washing home business, you can purchase a commercial quality power washer at most Home Depot or Lowes home improvement stores. Your initial investment for the equipment might range between $200 to $800 for the power washer — but after completing as few as 2 or 3 jobs, you’ll have paid for the power washer! On average, you’ll make anywhere from $100 to $600 per surface — depending on how difficult each space is to get to, in order to clean it properly. Be sure to research any soaps or detergents that you can use in pressure washers, as well as which surfaces are safe for power washing and which ones are not. Plus, you need to know when to use the right tip on the end of the pressure washer nozzle. To get the word out about your business, hand out fliers in your local community advertising your power washing services. You might also want to advertise on Craigslist. Many people don’t want to spend their time mowing their lawns. They would rather hire someone to do it. If you already have a lawn mower and basic gardening tools, you can have a lawn mowing service up and running in no time! There are a few lawn care gadgets you should have on hand — like an edge trimmer (to cut the grass up close to driveways, streets, and landscaping) and a leaf blower (to blow the grass clippings off sidewalks and driveways). To get the word out about your business, hand out fliers within your community and advertise on Craigslist. The reason so many high school students mow lawns for extra cash is because of how easily this home business can be started! Other than the price of gas and oil for the lawn mower, there is very little start up cost involved with a lawn mowing service. You won’t get rich mowing lawns. But if you need some extra pocket cash on the weekends, then lawn mowing might be the perfect job for you. Depending on the size of the lawn, and how much edging you’ll be doing, you can make anywhere from $30 to $60 per yard. Consider offering your customers a discount for each referral they send you. No matter which weekends-only home business you choose, be sure to check out these social media sites to market your business — they’re the best ones. And don’t forget about sites like Angie’s List and Craigslist to market your home business. I’m a working actor who has had supporting roles opposite Tom Cruise in “Collateral”, Brad Pitt in “Mr. and Mrs. Smith”. I also portrayed Cary Grant in Martin Scorsese’s “The Aviator”. In addition, I’m addicted to finding legitimate sources of residual income and ways to make money online.